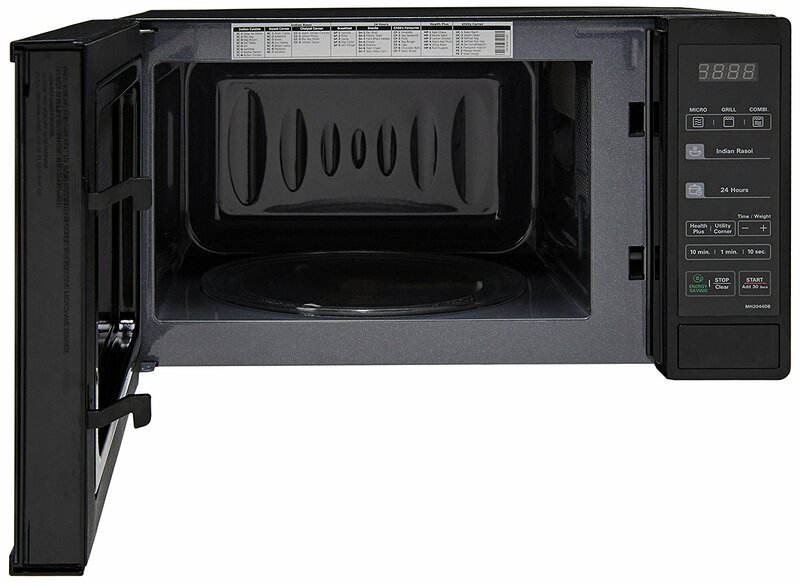 LG 20 L Grill Microwave Oven (MH2044DB, Black) comes with a starter kit and one year of warranty on product. 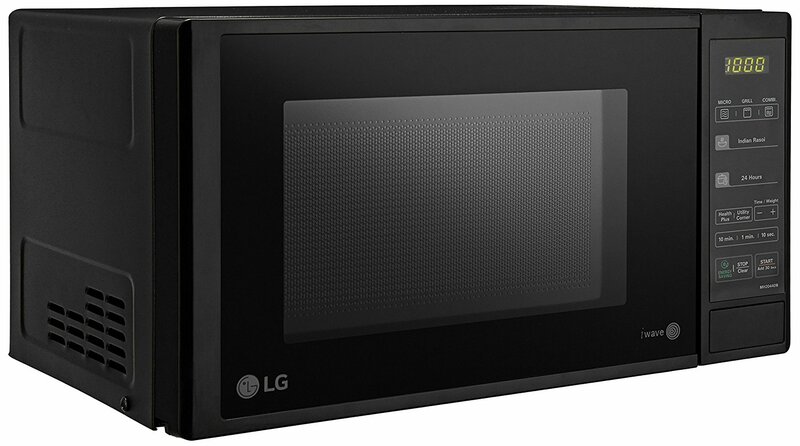 Amazingly, this LG microwave has quartz heater, anti-bacterial cavity and 700 watts of cooking power. Since this 20 litres LG grill microwave oven uses quartz heater so it can deliver best heating performance than a sheath heater. Keeping cavity space in mind, the heather is fixed at the top of the cavity to make it a special cavity. 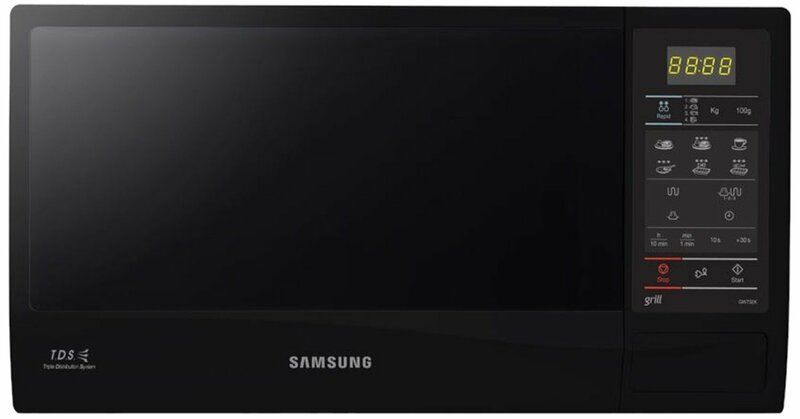 LG 20L grill microwave oven looks very stylish in black color, and it will surely complement the look of your modern kitchen. 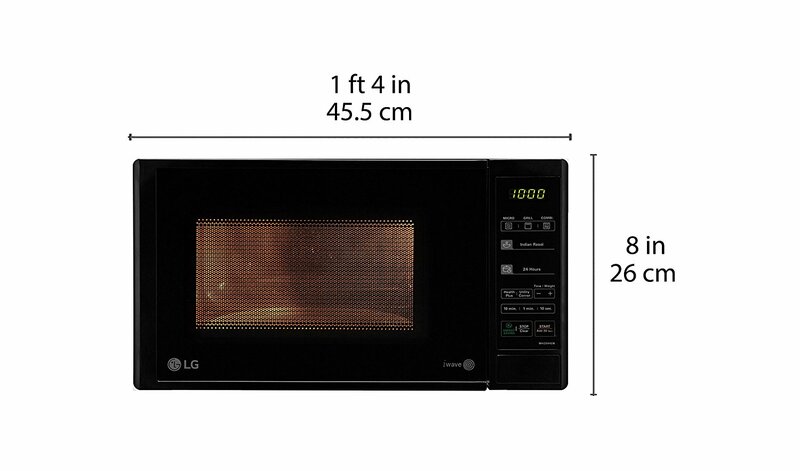 Further, this LG microwave is powered by iWave patented technology that is good for quicker and healthier cooking. Because iwave technology works by spreading the waves evenly inside the interior. On the other hand, the auto cook menu makes cooking works very simple. You just need to prepare the ingredients, put them in the microwave and press the right button to enjoy fast and easy cooking. Also, this microwave oven is good for preparing most of the Indian dishes at the touch of a button. LG 20 L Grill Microwave Oven (MH2044DB, Black) features anti-bacteria cavity that gets rid of bacteria growth and odour related stuffs. The anti-bacteria cavity is also very helpful for easy cleaning. 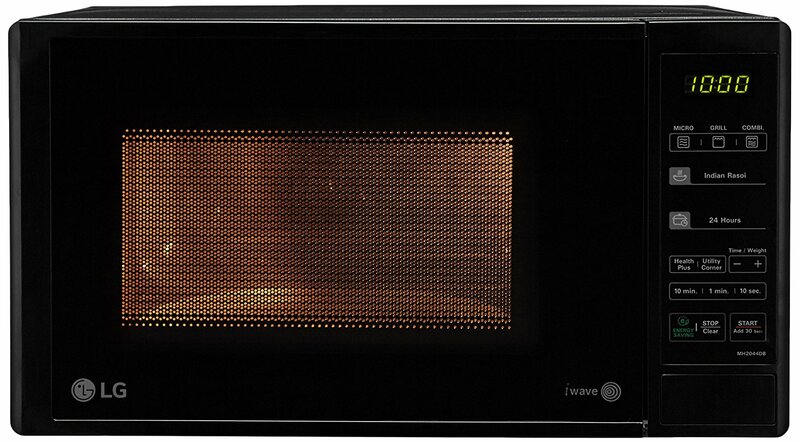 One the other hand, this microwave is an energy saver because it comes with an Energy Saving feature to save energy through automatic display off during the standby mode or after 5 minutes with door open or closing.